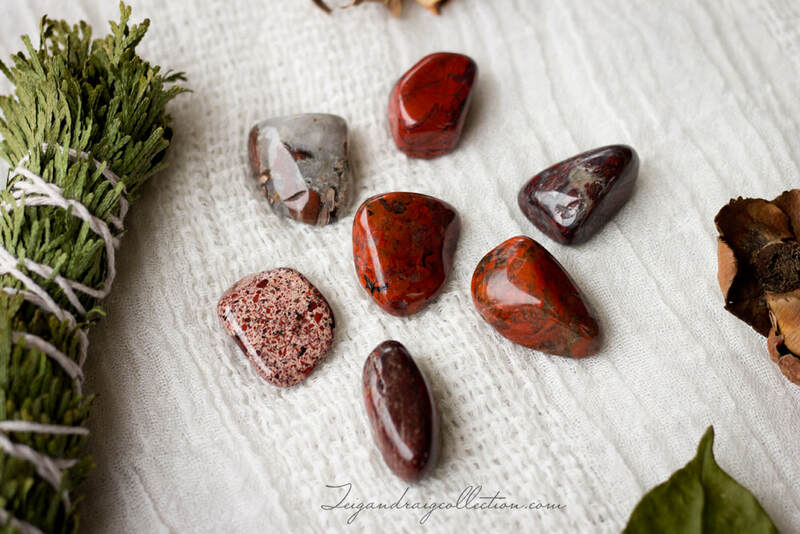 Brecciated jasper is a wonderful stone for facilitating strength and vitality. It is also used to encourage mental clarity and focus. Brecciated jasper is cleansing and stabilizing to the base and sacral Chakras and is therefore a powerful grounding stone. 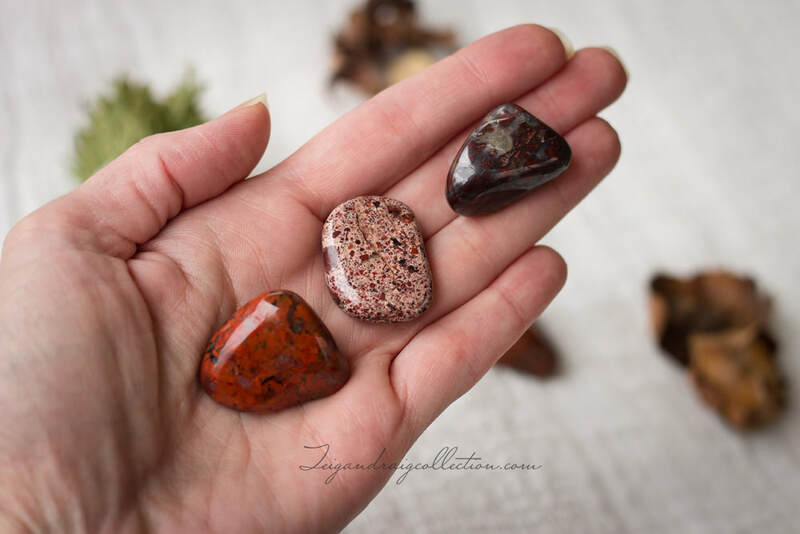 Brecciated jasper is a stone of many colors and beautiful patterns but is predominately shades of red, burgundy, yellow, and milky white, or grey.